Outstanding Pastry Chef of the Year” award. In 2015, she was elected to the Specialty Food Association’s Hall of Fame. Today, Sarabeth and her husband, Bill Levine, operate a 15,000 square foot jam manufacturing facility and a 4400 square foot wholesale bakery, café and retail shop in Manhattan’s Chelsea Market. Under her direction there are presently successful Sarabeth’s restaurants throughout the world; 10 in the United States, 5 in Japan, 1 in South Korea, 2 in Taiwan, and 1 in Dubai City Walk. Sarabeth is the author of two highly acclaimed cookbooks,“ Sarabeth’s Bakery – From My Hands to Yours” published in 2010 and the “Good Morning Cookbook”,published in 2015. In 1981, Sarabeth and Bill Levine opened a tiny bakery-kitchen to make and sell her preserves and baked goods. A few tables and chairs were soon added, first for breakfast and then for lunch. The little store, with its unique charm and wholesomely delicious products became an instant success with discriminating New Yorkers. 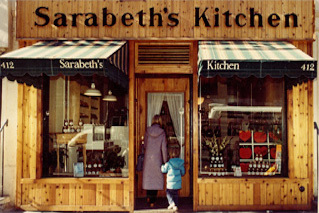 By popular demand Sarabeth’s (East) made its debut in 1983, followed by Sarabeth’s (West) in 1986. Both restaurants began serving dinner as well as breakfast, lunch and brunch. Sarabeth’s Bakery at the Chelsea Market, a wholesale/retail bakery and café began operations in 1998. 2005 saw the opening of Sarabeth’s then largest restaurant in New York City’s most prime location, Central Park South, between Fifth and Sixth Aves., just steps from the famed Plaza Hotel and across the street from Central Park. Sarabeth’s Key West also debuted in 2005 in its landmark location. Both restaurants are extremely popular. Sarabeth’s latest and largest restaurant opened in New York City’s Tribeca district in August, 2011. It is the first of Sarabeth’s restaurants to have a full cocktail bar with seating and TV. More restaurant locations are now in the development stage. When you are in New York City or Key West, Florida, please come visit us. It’s worth the trip! 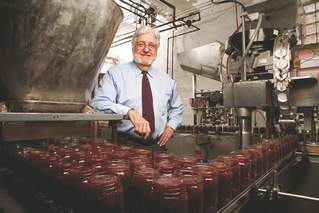 Sarabeth’s award-winning “Legendary Spreadable Fruit”, which had its beginning in Sarabeth’s and Bill’s Manhattan apartment with a few jars being sold to local businesses, is now being produced in a 15,000 s.f. factory in the Bronx, still being operated by Sarabeth and Bill. They are sold in the finest department stores, gourmet shops and specialty stores throughout the United States, the Caribbean, Canada, Japan and South Korea and have achieved a reputation as the finest fruit spreads and jams in the gourmet industry. Click on the “Preserves” icon to view the flavors available for purchase.